Finding your perfect commercial property to buy can be made easier by making use of MoveHut's property listings search functionality. We can help you narrow down your commercial property search and make it easier when it comes to buying a commercial property in the location you need. 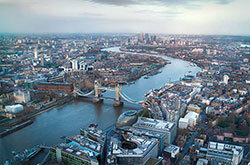 We have a thorough mix of commercial property to buy in the UK, in a wide mix of markets. From offices and serviced offices for sale to retail, automotive and industrial commercial property space that you can browse, inquire about or buy today. Are you searching for leisure or retail property in the UK to buy? Then let MoveHut help, we can make your search easier by offering you a wide choice of retail and leisure property for sale in England, Scotland, Ireland and Wales. Office space comes in a variety of forms and we allow you to easily find the right office space to buy. Our listings range from serviced offices to virtual offices in the UK and you can refine by price and location to find a commercial office for sale that matches your requisite business needs perfectly. Find an industrial property for sale to fit your needs using our commercial property listings. We have a variety of industrial properties that are sure to match your needs. From industrial units, workshop properties and warehouses, browse today for the ideal industrial or warehouse property in your chosen location with MoveHut. Browse our selection of commercial shop and retail properties and premises listings to find your ideal selection. We have a plethora of choices when it comes to retail, from small shopping units to large retail outlet locations. Simply narrow your search down by location or postcode to find a retail and shop commercial property that fits your criteria. Finding commercial land for sale is made simple using MoveHut. Our land for sale listings make it easy to narrow down where you would like to buy the land and what kind of price you are looking to pay. Search today and see how easy it is to find the right plot of land for sale using MoveHut. When it comes to finding a property to buy in London, the choice is vast and plentiful, and MoveHut's choice of commercial property makes the selection even easier. We list commercial properties for sale in industries from office space to retail and can also narrow down your results by location and size. So whether you need a Kings Cross property or a premises in Knightsbridge we will be able to match you up with the ideal commercial property in London. Birmingham is a bustling and busy city centre that has lots of variety when it comes to commercial property. 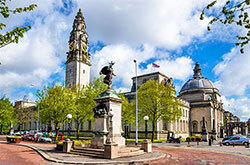 We have property to buy in the city centre of Birmingham, from Bristol Street to High Street and have plenty of choices too when it comes to the industry. From the bustling Piccadilly to the Northern Quarter, Manchester is a lively and exciting city centre and lots of choice when it comes to finding a commercial property. From serviced offices in the city centre of Manchester to Industrial and warehouse premises out of town, MoveHut can help you find a commercial property for sale today. Edinburgh has a mix of retail and industry in its city centre and offer lots of choice when it comes to finding a commercial property for sale. Serviced offices in the city centre of Edinburgh or land and industrial space further afield in Haymarket and Stockbridge, there is something to suit all needs. 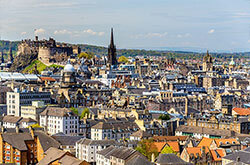 So if you're looking for an office in Edinburgh or a commercial retail space to buy then MoveHut can help. Leeds is one of the fastest growing cities in the UK and has a diverse mix of commercial property for sale. Whether you're looking for a serviced office in the city centre or a shop or store property MoveHut have something to match. Find a commercial property for sale in the financial district or a property in the shopping quarter of Leeds using our easy to use search functionality. When it comes to finding the right property to buy, MoveHut's free service allows you to easily narrow down, refine and find the ideal commercial property in your chosen location and industry. So why not take advantage of our great and free property services today! Welcome to movehut.co.uk. If you are looking for a property for sale, you are just 2 steps away from locating a new property investment or business premises. We offer you a wide range of the latest commercial properties and premises in thousands of locations from top local, national and international commercial agents to suit your individual needs. You can search for a perfect commercial property for your business within a specific area, buy price range, radius, type and size. New properties are added on a daily basis. You can keep up to date by using the mailing list service. Contact the agent from our website either via telephone or by submitting an online form. All enquires go directly to the agent, ensuring that your enquiry is delivered to the correct point of contact.